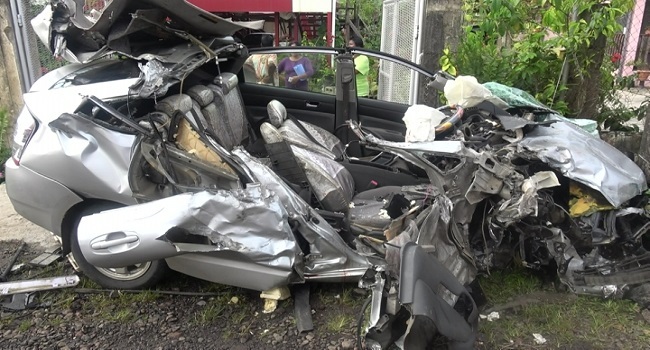 The investigation on certain members of the public who were at a fatal accident scene in Davuilevu, Nausori yesterday will begin today. This has been confirmed to FBC News by Divisional Police Commander Eastern Eparama Waqa. Yesterday, a directive was given by the Chief of Intelligence ACP Biu Matavou to conduct an investigation on the manner in which some displayed the insatiable need to take photos of the victim. He says it went to the extent of posing with the victim’s decapitated limbs and this is shameful and disrespectful. The investigation is expected to identify members of the public who took photos of the scene of the fatal accident at the Adi Davila Road in Davuilevu. The Police Force says that once they cordon off a crime scene, it becomes an immediate breach of the law for anyone who enters the restricted area and tries to interfere with the investigation. Police yesterday received photos of a person holding up what is supposedly the decapitated limb of the victim despite the scene already cordoned off. Police say this is illegal and is a bio hazard as one is exposing themselve to potential harmful diseases. Police understand there will be certain accident cases whereby first aid can be administered or assistance given before the arrival of emergency services which they do not discourage. However they say that the actions of those who posted on social media and posed with the decapitated limbs is truly shameful. The posting of graphic photos of the accident victim on social media has spiraled out of control with little to no consideration and respect for the victim and their families.